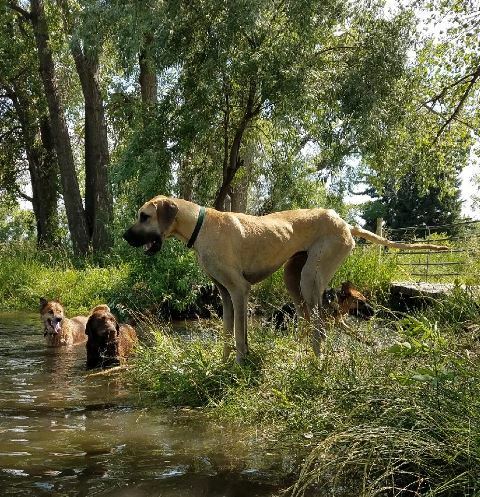 Simon - Rocky Mountain Great Dane Rescue, Inc.
Hi, I’m Simon! 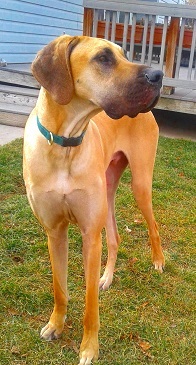 I’m a 2 year old fawn male Dane with natural ears. I recently tore my CCL in my hind leg so I’m a little slow and on some meds to manage the pain. The rescue is going to get me all fixed up soon. Other than that, I’m just a sweet guy looking for a great home to call my very own! 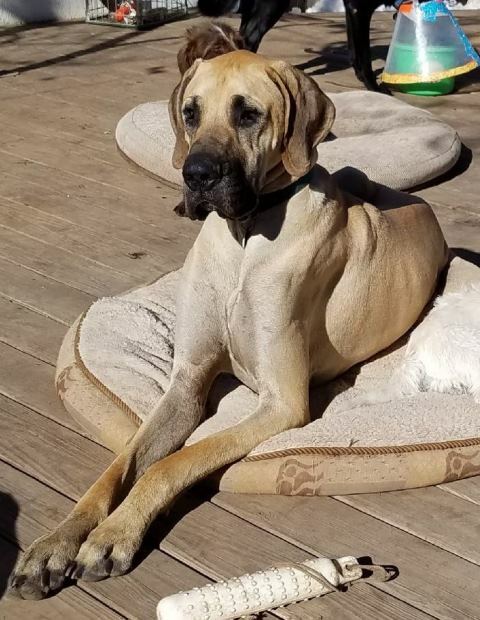 I’m good with other dogs and have lived with another Dane (I do need to be fed separately though, I kind of like my food a lot!). I’m also good with kids. 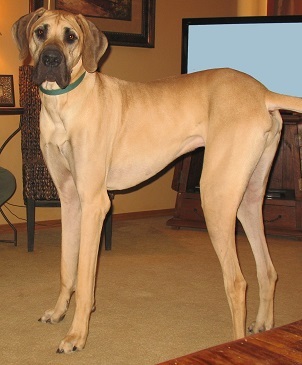 I know all of my basic commands, am housebroken, and walk great on a leash with a slip lead. I’m also crate trained and trustworthy with free roam. Pretty much the complete package if you ask me! I think I’ve covered all the important things, but let’s get together to see if we could truly be the perfect family! 7.10.18 – Simon is ready to have his plates removed and will be ready to go to a new home soon. 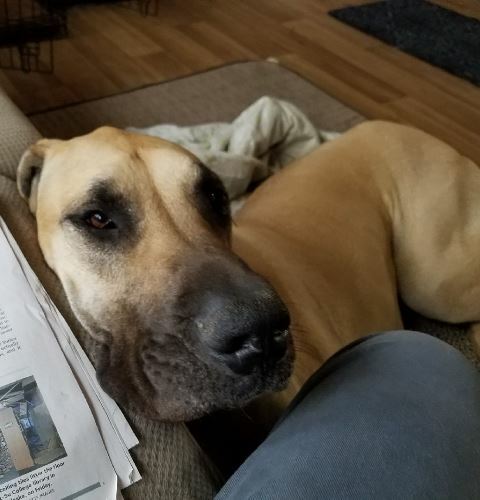 Thank you for your support in getting him healthy again! Simon is now 2 years old. 8.29.18 – Poor Simon, after having the hardware removed from his repaired leg, he is now favoring the other on and we are afraid that he may need surgery on this knee as well. 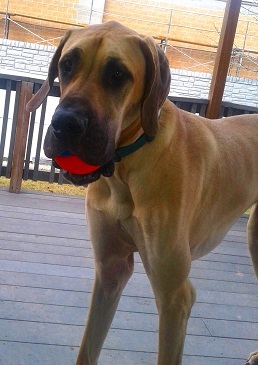 He is currently being evaluated by the vet for the other leg. 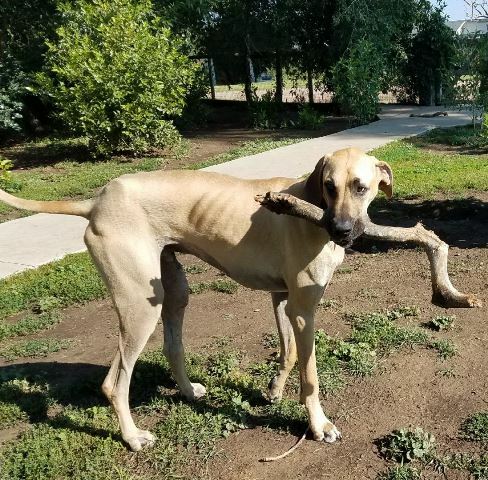 10.22.18 – Simon has been doing well with his therapy and is no longer in need of another surgery, so it’s time to find him his forever home . I am being fostered in Colorado.